The labor of back-of-house restaurant workers often goes unappreciated by diners. Though chefs, line cooks, food runners, and the like are the rarely seen, rarely heard facilitators of meals, the humble dishwasher is the one ensuring you’re not dining off filthy plates and lipstick-stained wine glasses. A recent CBC documentary highlights the lives of three full-time dishwashers working in Montreal, conjuring up a new appreciation for this dirty profession. Regardless of their personal circumstances or the drama they’re dealing with outside the kitchen, each of these dishwashers is comfortable and confident when they’re in the pit. The plates stack up and they kick it into overdrive, knowing full well that, if they don’t get clean dishes out soon, the entire operation could crumble. 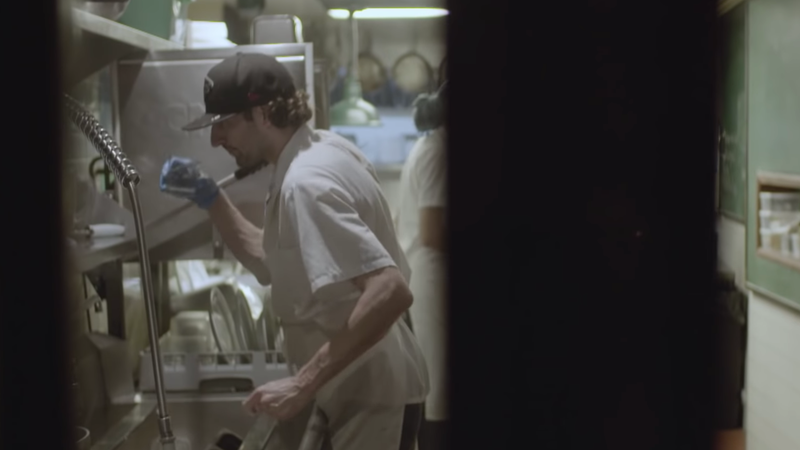 This intimate look at three strangers’ lives is a reminder that being a dishwasher, like many traditionally blue-collar jobs, is not something to be looked down upon. They are the engine that drives the kitchen and, without them, we’d probably be eating out of our filthy hands. Ask the Salty Waitress: What are the rules of sending back dishes?